Last day of May and I finally have time to post my WIPocalypse update. I mostly worked on the Mira RR and a little on a band sampler RR which returned to me a couple months ago. I did some knitting but most of my time was taken up with moving to a new house and unpacking. Not alot of stitching but progress was made. Here is the Christmas Reindeer themed Mira RR which I worked on for Sophia. I stitched “Vixen”. Could not take a picture of the entire RR because my husband had the camera and he was in Vancouver,BC with my son. This image is a scan of what I stitched. 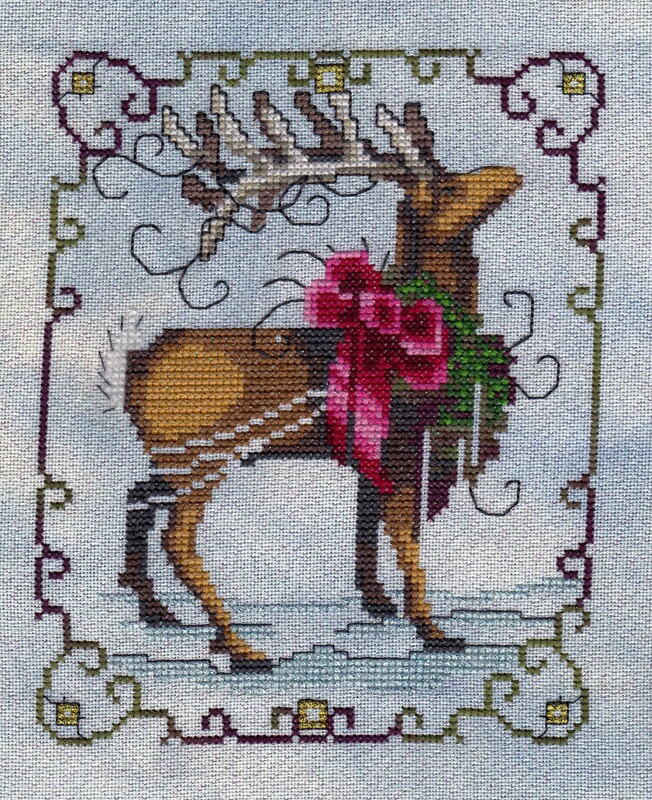 I did not do the borders just the reindeer. I received Sophia’s RR this evening and it is gorgeous! You did a great job on Vixen, he looks fabulous!